Merry Christmas everybody! Every year I am trying to sample at least one Christmas beer and this year that beer comes from Norway. Nøgne Ø God Jul is an English Porter, probably more suited to a cold European Christmas than a hot Australian Christmas. Strangely I've only ever reviewed two Nøgne Ø beers before, I say strangely because it's one of my favourite breweries and I drink their beers at least once a month! Anyway God Jul means Merry Christmas in Norwegian, which seems rather festive. They have a range of Christmas beers but I'm reviewing this one as it's the one I bought for my whole family. Firstly I have to thank my friend Kastytis for the Nøgne Ø glass, it looks awesome with this lovely dark porter in it! The beer itself pour the darkest of brown colour, there is only the tiniest hint of light making it's way through the beer. The head leaves a thick layer of foam all the way down the glass as you continue to drink. There appears to be little to no carbonation but considering this the retention is magnificent, maybe half a centimetre was left at the end. 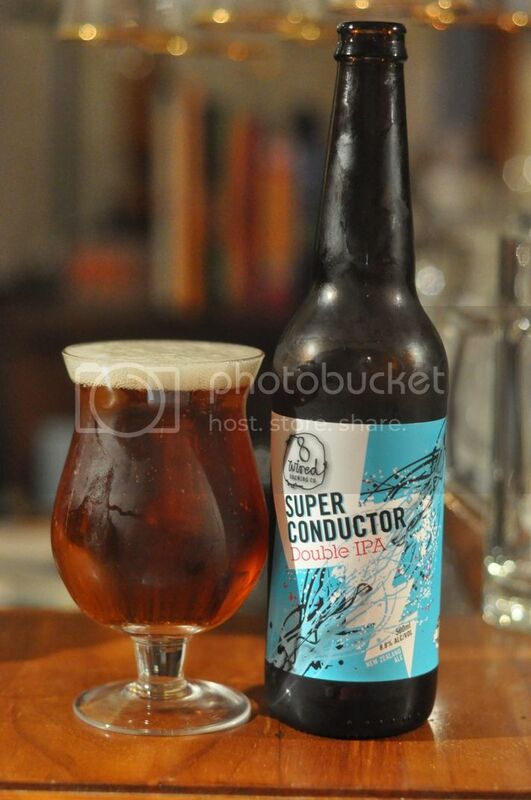 It's a great looking porter! The nose is quite simple at first before becoming slightly more complex (not alot) as the beer warms. There is plenty of dark chocolate and even licorice on the nose at first before some roastiness joins the party. As the beer warms I began to get citrus notes, which seems odd for a porter. Some research led me to find out that God Jul is packed full of American hops, hence the grapefruit. 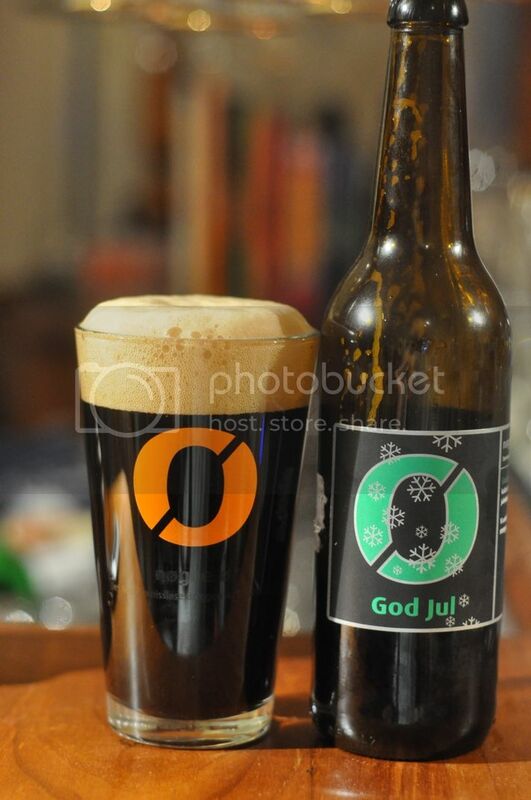 God Jul from Nøgne Ø is a tasty English Porter. The malts are of a caramel nature and are rather sweet but this is well disguised/hidden by the excellent roasty qualities. There's plenty of chocolate and the tiniest hint of some spices towards the backend. I can also only just make out the grapefruit that I picked up in the nose, but it is nowhere near as strong. It may be a little plain, but it's very drinkable. I'd definitely have this again! I'm really pleased with my Christmas beer for this year and I hope my family members who are receiving one will be similarly pleased. It's one of the most drinkable porters on the market, with a very light mouthfeel for the style. This beer is light enough that it doesn't matter that today was hot, this beer can suit any climate. I will sign off by wishing you all a "God Jul" and hope you have a safe festive period.